You’ve decided to take your family to Walt Disney World, and everyone is excited. You pick the time of year, put in for vacation at work, and then your first thought is, ‘How am I ever going to pay for this?’ Well you can save money on your Disney World vacation and I’m here to tell you how. Let me say going to Walt Disney World does not have to break your bank. Yes, it can be expensive, but in my experience, we can find something that will fit your budget and you do not have to skimp on fun. There are a few simple ways to curb your spending and some are easier than you think. Let me go through just a few. 1. Put your trip on layaway. Yes, you can do this. Disney requires on $200 deposit to secure your Magic Your Way vacation package. This is typical the hotel and tickets and sometimes dining plan for families. Your full payment is due 45 days before you check in, but you can pay along the way. Then the final payment may not seem so overwhelming when it comes due. 2. Fly into Orlando International (MCO) if possible. Sure you may find flying into Orlando Sanford is ‘cheaper’, but have you heard of Disney’s Magical Express bus system? These huge, luxury vacation buses are designated by hotel and will pick you up at MCO and take you to your hotel for no extra charge. There are even magical bag handlers that will grab your luggage (if you choose) at baggage claim and deliver it to your resort a few hours later. This saves you time and gets you to the Happiest Place On Earth’ even faster. This will save you on transportation costs to/from your Disney resort. 3. Stay at a Disney Value Resort. These resorts are fun, whimsical, clean and have wonderful pools. Check out my post on Choosing A Value Resort to help you decide. 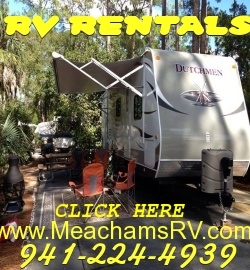 These are very affordable and you will often pay just as little as staying off Disney property. Sometimes even less. You do not compromise on the magic. This is probably my favorite way to save money at Disney World. 4. Take advantage of one of the Disney dining plans. They are designed not just for convenience, but to also save you money. You have to eat right? Here’s a great post on how you will save using the Plus Dining (middle plan). 5. Put aside a jar, account or some way to save along the way for souvenirs. Have your kids make a Disney chore list and pay them accordingly for spending money they can use in the parks. Maybe even sell something on Ebay. We recently sold my daughters Nintendo DS she never used anymore and that went right into our spending money account. 6. Take snacks and water bottles. We usually throw in a few boxes of granola bars, goldfish, and even empty water bottles to fill. We grab the single drink mixes and instantly have lemonade. If you need ice, just ask at one of the quick service counters. 7. This one may surprise you, but stay a few extra days. Most often there is an offer that will save you money by staying longer. You are already spending money on airfare and if you can stay 6 days instead of 4, the difference in ticket prices will be minimal. Right now there is a Summer offer where the difference for an average family of four is $8.50 for 6 days instead of 5. Seems like an easy decision for me! 8. Travel during least crowded times during the year. This isn’t hard to figure out. Disney will typically lower their resort prices and call it ‘Value Season’ during times when people are less likely to travel. When is this? Late Summer or early Fall when school is starting up again. Then you can choose the first few weeks in December (after Thanksgiving and before Christmas break). There are a few other times scattered throughout the year, but I think those are the best times. By going during these times, you will save money at Disney World, by just choosing the right time of year! 9. One more important way, book with a qualified travel agent who charges NOTHING for her services and will give you all the information you need to make the most of your time. After all you time is valuable. Make the most of it! Do you have a way you love to save money at Disney World? Let me know! I’d love to hear about other ideas and share them. 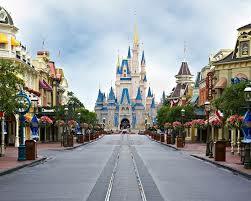 Contact me at kimwhite@magicalmouseplans.com or 515-720-5220 to book your next Disney World vacation!